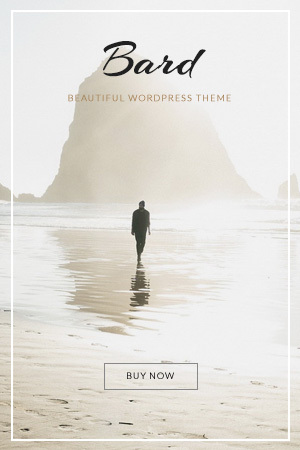 I’m sitting here having one of those moments, what to write about? I really haven’t gone anywhere lately (the life of a coach) – but am planning so much as far as travel is concerned. Just this past weekend we booked a last-minute, Pre-Thanksgiving getaway to New England because *FINALLY* the stars aligned and hubs is going on a business trip and I can go along! So – after my frantic messages to Trunk Club explaining that my winter wardrobe is a tad past due and a tad really too large (check it out and a $50 coupon here), I’ve settled into the fact that I am going to spend some time in the Northeast for the Holidays and I am so excited! But now, I’m faced with the question, what do I do with all that time? Because, the upside to traveling with hubs on his work trips is well..I get to go and see him in the evenings, but the inevitable downside slash scary awesome part is that I am able to explore ALL DAY while her works. Lucky for me – we did spend a day in Boston last summer so I’ll just go to my blog and find the other sites I wanted to see…errr…oops. Never published it! 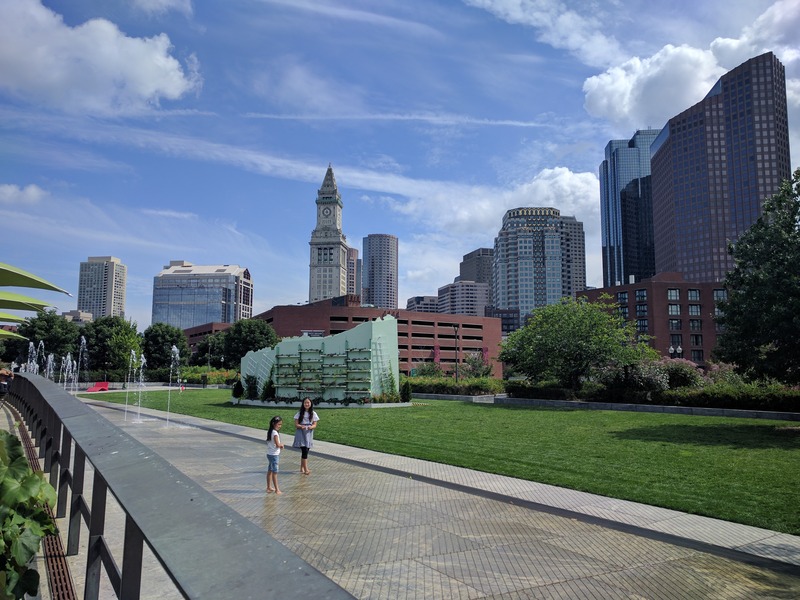 So as I noodle on where my New England adventure will take me, here is the blog written all about our summer day in Boston exploring Old Town & The Freedom Trail. When I think of Boston – I think of the 5th grade. Watching everything about the founding of our country, all the Schoolhouse Rock videos, reading Johnny Tremain…ah those were the days. And call me old fashioned, but I am someone who is just crazy about history – I love antiques, learning the stories (ghost and historical) behind buildings, ancestry – that is my thing. In fact, I’m just about finished with my candidacy for the Daughters of the American Revolution and Daughters of the Mayflower! As luck would have it, Ryan and I were traveling home from Maine after visiting some family, and flights just happened to work out where it made a lot more sense to take a few hour drive and the last flight out of Boston back to Florida rather than an awkward, more expensive itinerary from Portland. 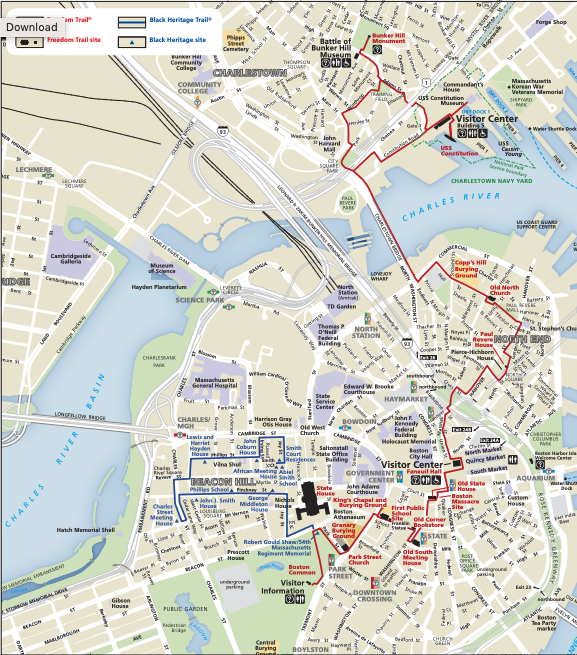 So – on the last day of our vacation we got up early and set to explore the Old City of Boston on foot. There were several tour busses taking the route of the Freedom Trail, but I assure you – if you can walk a theme park, you can walk this. The entire trail is only 2.5 miles, with LOTS of crosswalks and things to stop and see, and we took it pretty quickly to finish in about 3 hours. Unbeknownst to us – as I am writing this, it turns out we took the trail backwards (oops!) beginning at the Old North Church which was very convenient to a parking garage where we would later eat dinner in the North End. It’s your vacation, do what you want, right? The Old North Church is Boston’s Most Visited historical landmark. Not only was it the original church to the city, but it is also where Paul Revere hung the lanterns made famous by Longfellow’s words: “One if by land, two if by sea” to ignite the Revolutionary War. Entry to church was free – though it is maintained by donations, so be sure to have a few smaller bills on hand while visiting. Our next stop following the markers and brick trail throughout the city was Paul Revere’s House. Normally – we just take the selfie, and move along, but going inside this home (which does come with an entry fee of $4 per adult (keep those small bills handy, right?) was fascinating. It was so interesting to learn how people lived in a city at that time, and the tour was self-led, short and to the point, but with a little time to wander. I highly recommend it. We then took a break from the trail and explored Faneuil Hall and the Boston Massacre Site. In the summer, it’s a marketplace with outdoor performers, tour groups galore and really was just a nice spot to sit and people watch for a bit. 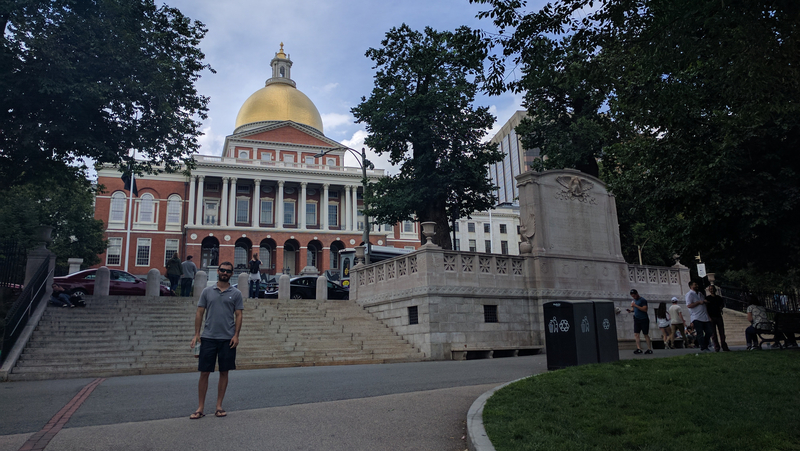 Our last stop on the Freedom Trail took us to Boston Common, which is really a large park in front of the state house, where we rested again for a bit on the green grass before beginning the trek back to the North End for dinner. With a little bit of time to kill, we took a stop at the Wharf and had a cup of coffee at Christopher Columbus Waterfront Park. A few blocks back to the North End we had our hearts set on Italian Food and had been told to go to Giacamo’s – known for being the best Italian in Boston – but with a 3 hour wait, and a line out the door we settled on Bencotto, a smaller cafe located just a few doors down at the intersection of Hanover and Fleet where we had one of the best cannoli I have ever tasted with others that had shown up to eat at Giacamo’s and had instead turned to other business. I can’t wait to explore this city one day again. To see Harvard Yard, and take a short drive to the Cape or Martha’s Vineyard, visit Plymouth Rock…catch the Head of the Charles Regatta in October. 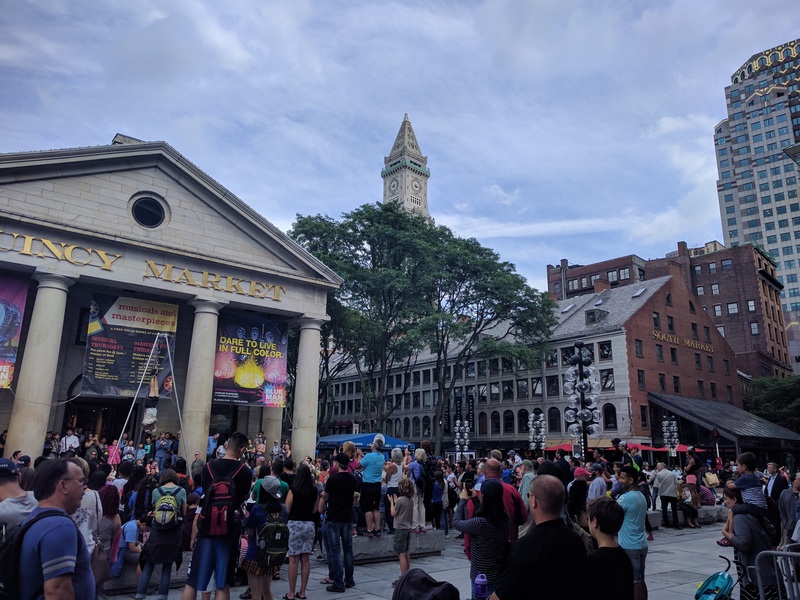 Boston – this was a first, and it most certainly won’t be the last!